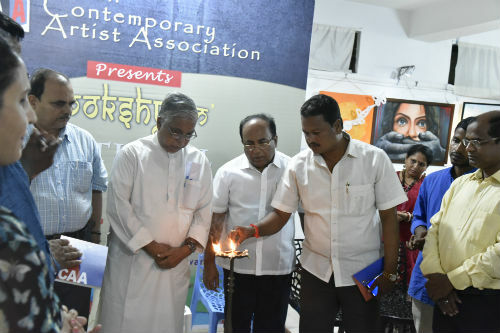 Bhubaneswar: The 7 day national painting exhibition Mokshyam organized by Indian Contemporary Artist Association was concluded on a high note at Suvadra Art gallery,Tanka Pani Road,in Bhubaneswar,Saturday. The event was graced by Guest of Honour Narendra Kumar Swain(MP). Addressing the concluding day Swain said,” Its an honour for Odisha that such magnanimous art exhibitions are taking place.Artistes from all over India has showcased their immense talent and creativity through this show.” Chief speaker of the occasion MP Dr Prassana Pattsani also encouraged the various artistes of the show and he said,” Odisha is a place of art and what could be more appropriate than to showcase the art exhibition at such an amazing gallery”. Around 80 artistes from all over India including from Odisha had participated in the event. 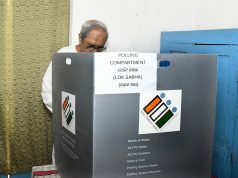 Meenaketan Patnaik, Sangeeta Patnaik, Mamata Samantray, MD. 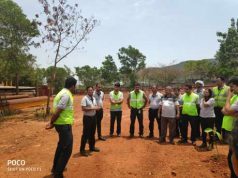 Anwar, Binodini Behera,Raghunath Sahoo,Sunil Dakua,Sujata Behera,Srikanta Das, P.Shyamsundar Achary,Parteek Panda,Nibruti Seth and many more were present in the occasion. On this occasion several artistes and art critics were feted. For Ceramic Biswajit Moharana,for sculpture Lalat Kishor Pradhan, for contemporary art Ajaya Kumar Mohanty,for modern art Manoja kumar Mohanty, for watercolour Arun Kumar Pallur,Senior painter Bhikari charan Behera, Art Critic Chaitali.Shome, Photo Journalist Tikan Biswaranajan Mishra, Social activist Prasanna Kumar Parida,Surendra Nath Mohapatra. Dignitaries like Odisha Journalist association president Sugyan Choudhury, MLA of Polsara Srikanta Sahoo,Eminent Poet and Political activist Shankarsan Parida, Manas Ranjan Jena Secretary Lalit Kala Academi,CTTC’s Director Sibashis Maiti,Social worker Durga Prasad Panda, Subhadra Art Gallery Chairman Surya Ratha, Director Ashok Nayak, Eminent sculpture Rabi Rath, All Odisha district Unions President Prafulla Kumar Dalei were present on the occasion.The vote of thanks was proposed by ICAA secretary Sanjib Biswal.